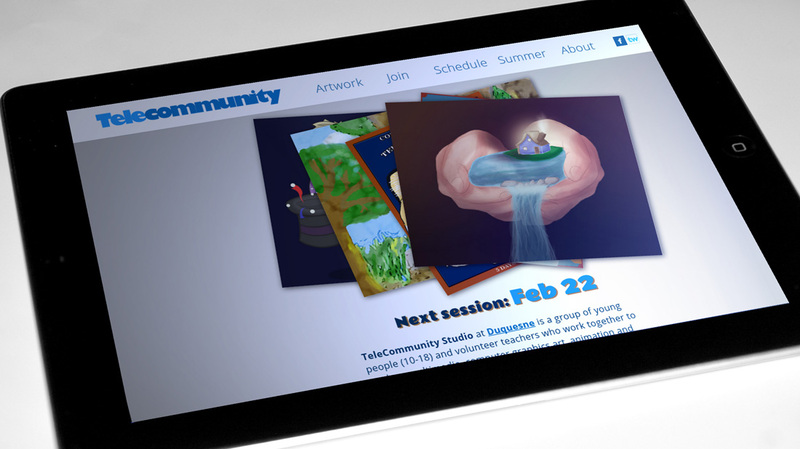 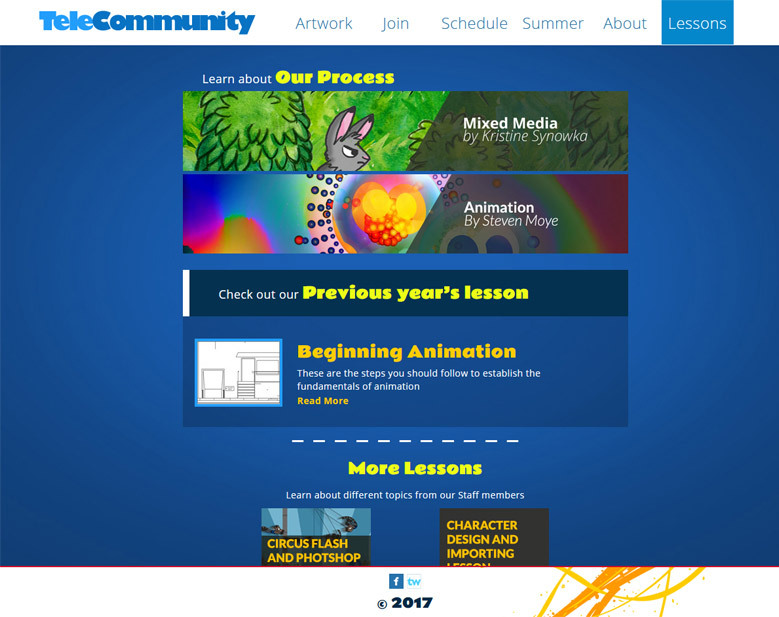 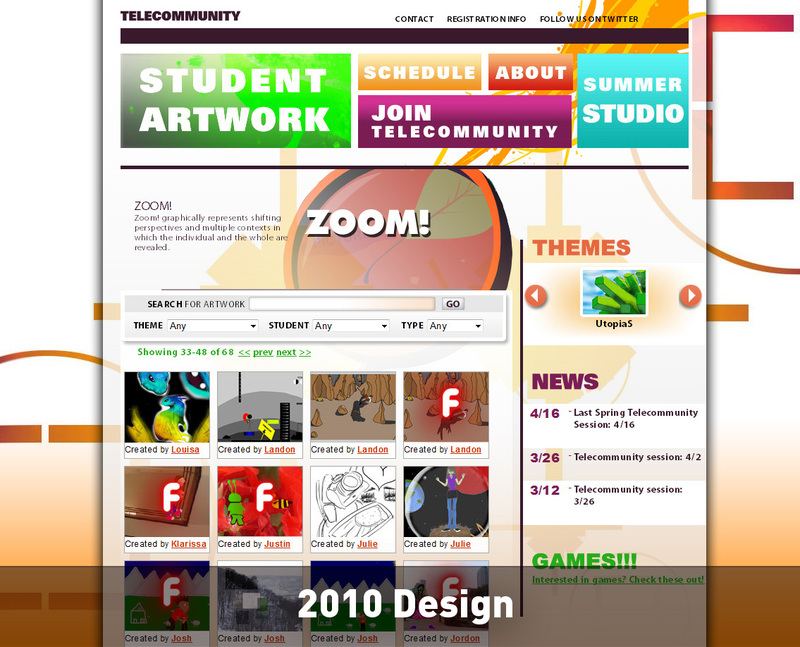 2017 Right before graduating from Duquesne University in 2008, I joined the teaching staff Telecommunity - a digital art program for kids 8-18 located on that very campus. 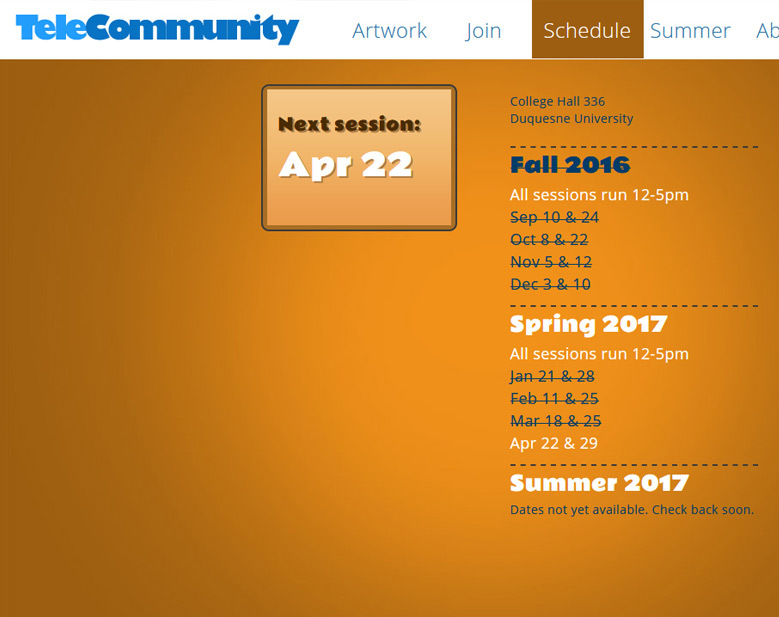 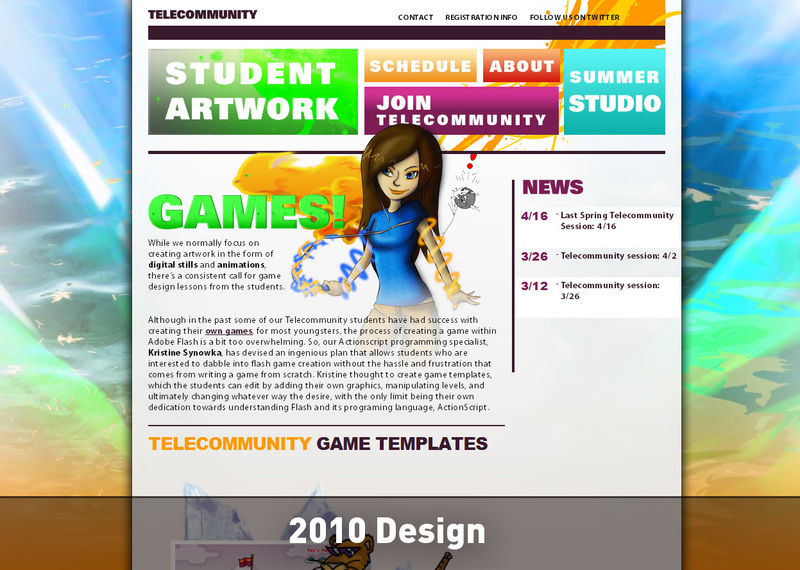 Taking over for their old webmaster (one of their former students), I organized a redesign of the Telecommunity website with the help of students and staff alike, built using WordPress in 2011. 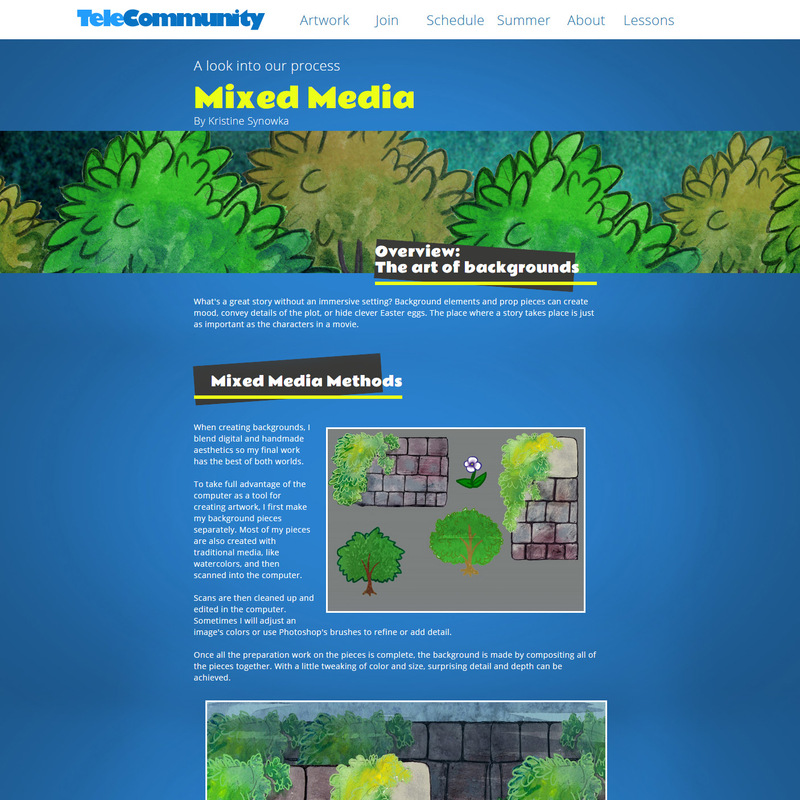 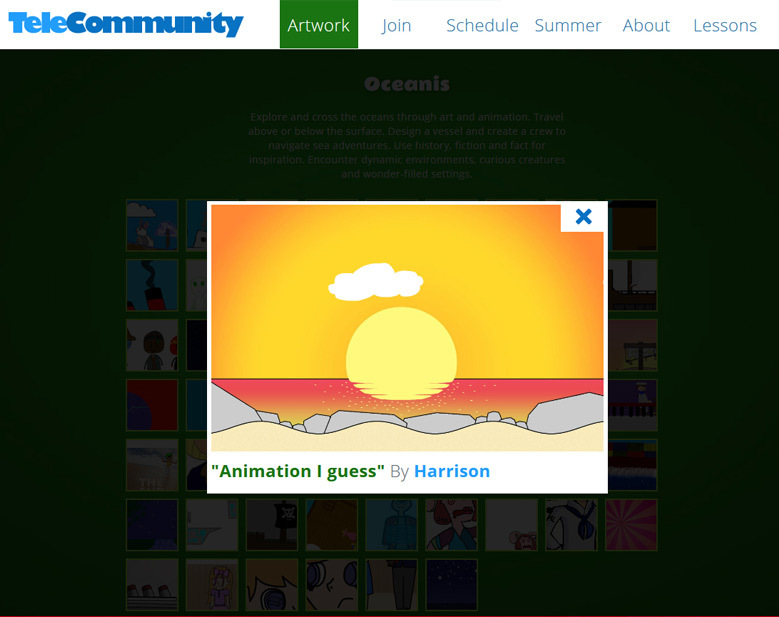 I've since continued to manage the site, updating the design as needed to compensate the program as it continues to grow.